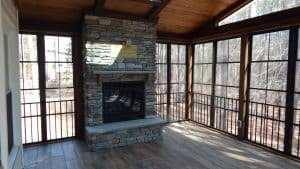 We build screen porches and 3 season rooms in Apex! Apex is a wonderful town with great architecture. We love Apex! 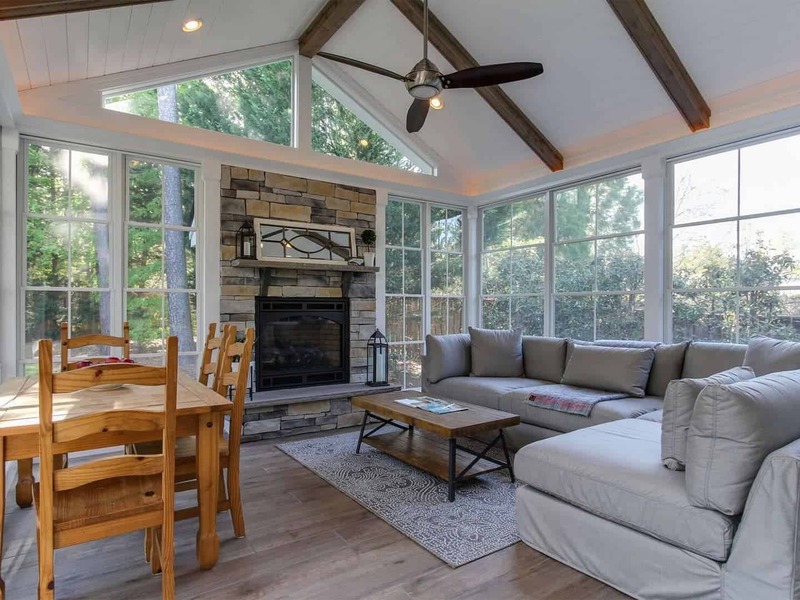 We have a lot of success in Apex because we have high standards that match the houses and styles one would expect, living in Apex! Cary and Apex are our favorite places to work and luckily, most of our projects are in the Cary and Apex areas. We regularly pull permits for screen porch projects and know all of the ins and outs of the inspections procedures. 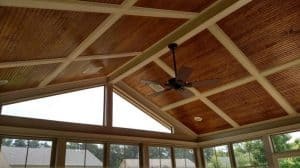 Working in Apex for over 12 years, we’ve also gained many, many references and reviews from Apex inhabitants. And Apex is a wonderful place to live! Great weather, great infrastructure, great places to eat and great people! But, there are a lot of mosquitoes down here! 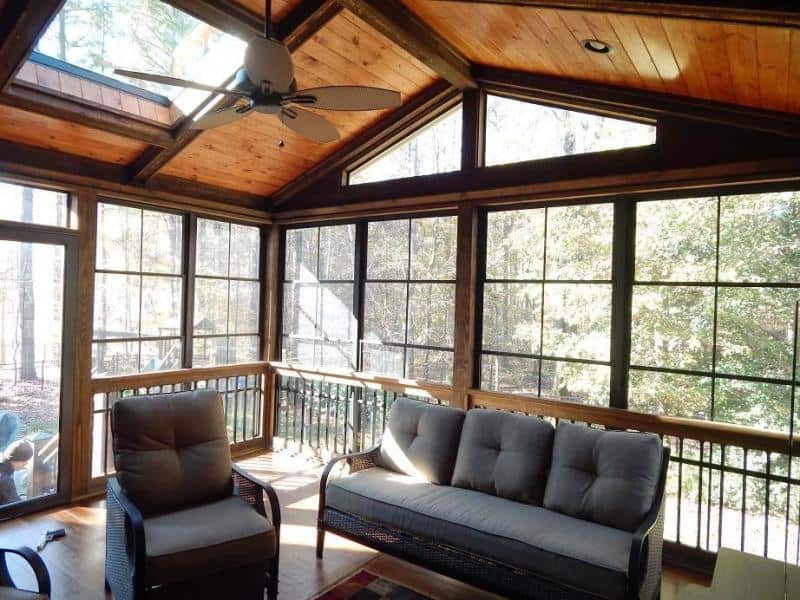 Many people in the Apex area are transplants from “up north” and may not be used to the concept of a screen porch. 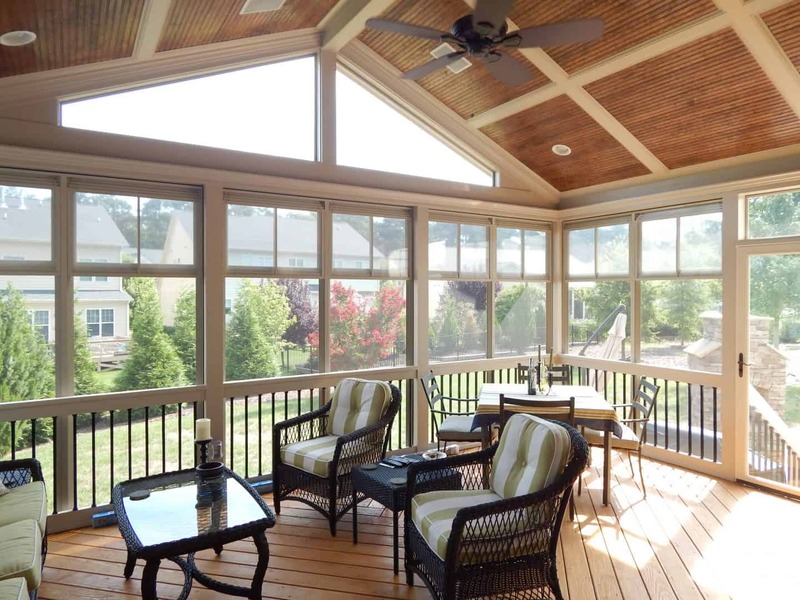 Screen porches are a necessity in our climate area if you spend any amount of time outside during the summer months. You may be one of those lucky people who don’t get bitten repeatedly. 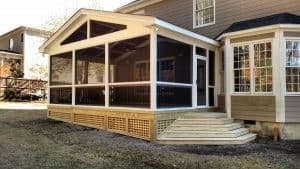 But if you’re not, you know why a screen porch can be a great addition to your house. “The peak of good living”. Apex has a small town feel with the convenience of a larger city! Apex has been booming in recent years with population growth. 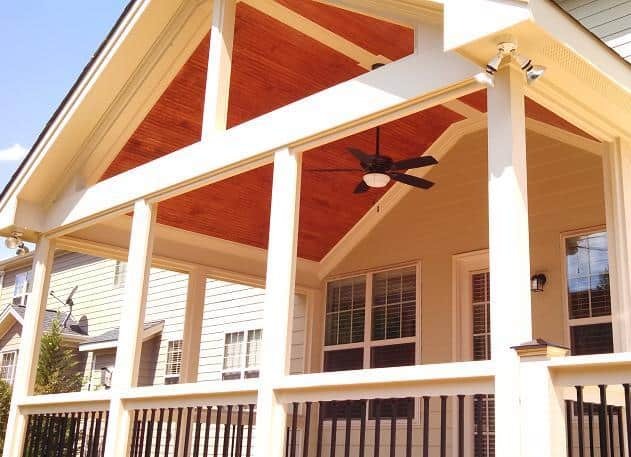 The construction industry has done the same to keep up with demand for new housing. This demand has house builders and the Apex inspections department running at full pace, all the time. 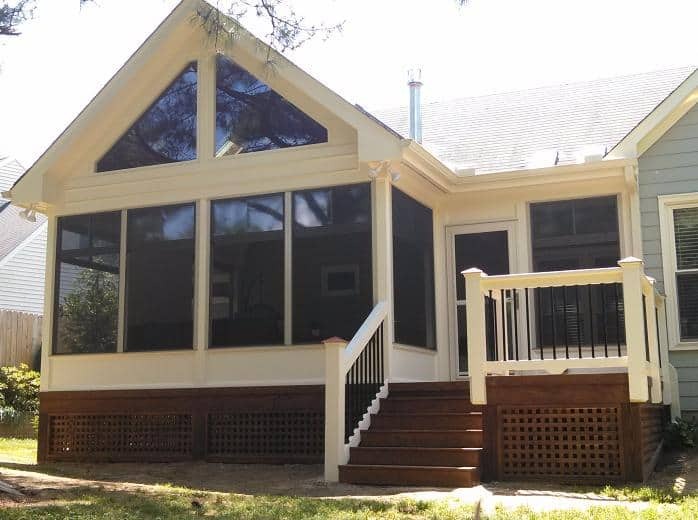 There’s one thing the builders are neglecting to offer with their new housing, though – A really nice screen porch. Over the last 20 years we’ve witnessed the trend of house builders building really nice houses but a very standard (and small) deck or porch on the back of the house. This is where the builder saves money because it’s on the back of the house. Have you ever seen a house that’s gorgeous on the front but the deck or screen porch in the back is falling apart and much too small? It’s likely that this may be your current situation. 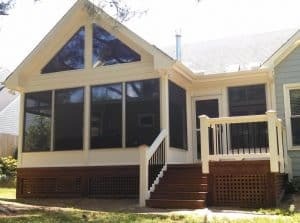 What the builders don’t realize is that people would spend a lot of time back there if the decks and screen porches were nicely done and big enough. Fortunately, that’s where we come in. 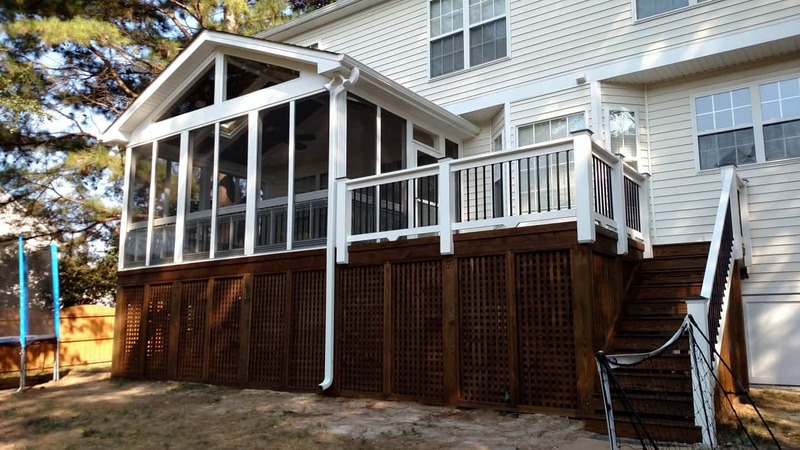 We understand that the backyard can be made into an oasis and that’s what we do! Apex is one of our favorite places to work and fortunately, most of our projects are in the Apex and Cary areas. We regularly pull permits for screen porch projects in Apex and know all of the ins and outs of the inspections protocols. Working in Apex for over 11 years, we’ve also gained many, many references and reviews from Apex locals. See some of our many Apex screen porches and 3 season room projects below and check out our extensive options list at our main website. Did you know? Apex was got it’s name for being the highest elevation on a 30 mile stretch of the Chatham railroad, which ultimately extends between Richmond, Virginia and Jacksonville Florida. Steam engines would stop at the top of this climb to replenish their water supply on the way to Raleigh. Did you know? By the turn of the 20th century, Apex only had a population of 349. Did you know? Apex developed around the train station and spread out into dense forest areas. Apex became an active trading and shopping center, being situated on the railroad. In 1905, a fire destroyed many wood-framed commercial buildings in the town. A 2nd fire in 1911 destroyed much of the business district, including Many of the old wood-framed stores, the Merchants and Farmer’s Bank, and the postmaster’s house. The fires provided merchants with a strong incentive to replace the old frame structures with fireproof brick buildings. Did you know? 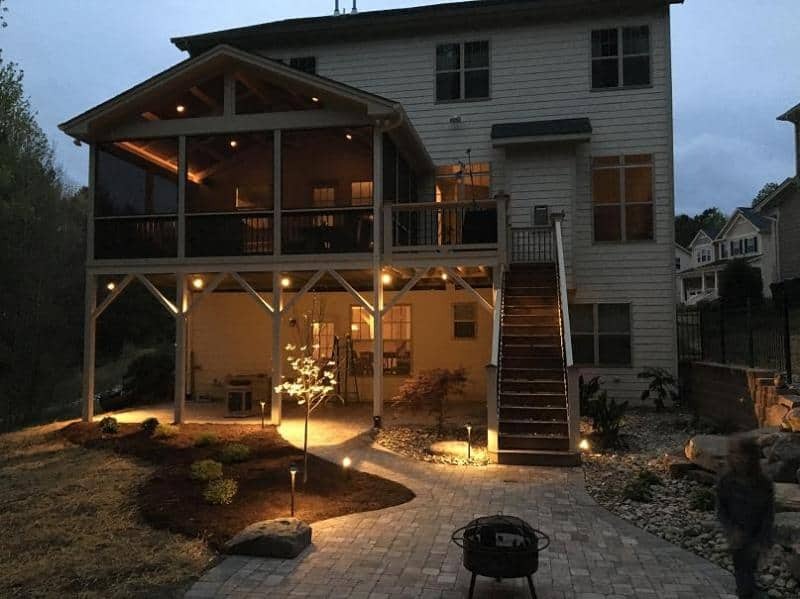 In August 2015, TIME magazine ranked Apex #1 on its list of the nation’s top places to live. In July 2018, Realtor.com ranked Apex the #1 Fastest Growing Suburb in America.